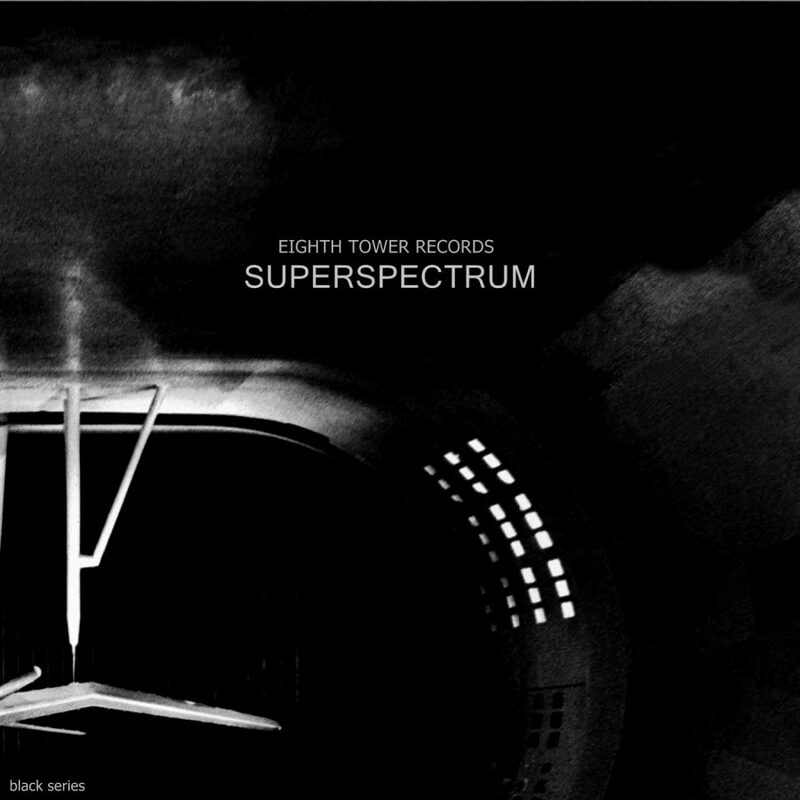 Superspectrum is a dark ambient, experimental ambient compilation. It is the first release on Eighth Tower Records, a sub-label of Unexplained Sounds Group. Run by the man behind Sonologyst, Raffaele Pezzella, it should be no surprise that what we are presented with is an album that is as deeply dark and horrifying as it is experimental in its execution. Superspectrum brings together a wide range of artists, some well known and others that may be wholly unfamiliar to listeners. This sort of a combination is always helpful in attracting attention to a release. Still, it has enough breadth of talent that listeners will never quite know what to expect. The sounds that can be heard on Superspectrum are as broad as the subject matter. Damballah “L’eveil de Baron Samedi” for instance, displays a sound which is certainly able to be classified as dark ambient. The track has a haunting feel and is entirely grounded in field recordings. This heavy use of field recordings takes away all notion of calling it a song, leaving us with a set of atmospheres and noises which paint a brilliantly vivid picture of paranormal activity within the natural world. Highlighting the diversity of sounds presented, we can look to the very next track, “Az Orias Felfalja Gyermekeit” by Nagaarum. This track finds its grounding in analog synthesizer equipment, giving it a highly electronic feel. We can imagine the machinery of some scientific laboratory running in an unexplainable fashion, taking on a life of its own, to the horror of the present scientists. Sonologyst makes an appearance with his track “Ceremony”. His trademark style of alien soundscapes is certainly present in “Ceremony”, there seems to be a combination of field recordings, analog synth, and vocal manipulations which all come together to give listeners a feast of varied emotions. The well-known Iranian dark ambient artist Alphaxone helps secure a bit of name recognition with his submission. Yet, fans of Alphaxone will find a track that is noticeably different from much of his recent dark ambient work on Cryo Chamber. “Majestic” takes a bolder approach to dark ambient, with more sounds that jump out to the forefront. These elements give “Majestic” an experimental feel, and seem to work out very well within his skill set. Gopota delivers one of the most unique tracks on Superspectrum with “Attitude”. True to the Gopota style, we hear often harsh and experimental noises grounded in the foundations of a dark ambient track. The combinations of these styles gives “Attitude” its unique flavor and fit together very well, producing a track which is well rounded yet simultaneously unusual. This track is also one of the most horrifying on Superspectrum, which should be no surprise to fans of this master of the macabre. As a whole, Superspectrum is a varied, wide-reaching endeavor. The songs presented take more than their fair share of experimental composure. This could be a death sentence for some compilations but helmed by Sonologyst, the tracks all work together quite well. The blending of natural, mechanical, and electronic sounds easily brings to mind the pictures of phenomenal occurrences rooted with occult or extra-terrestrial origins. Superspectrum should be just what Eighth Tower Records needs to jump-start their venture, while giving listeners an idea of the thematic and experimental releases which are to come in its future. I would recommend Superspectrum to fans of ambient works which are on the experimental side. There is plenty of unorthodox thinking here. Fans of more traditional forms of dark ambient may also enjoy this album as a gateway to the more experimental output of its collaborators. With a solid debut, it should be interesting to see where Eighth Tower Records takes us in the coming months. The direction will almost certainly be one which is as unusual as it is professional.